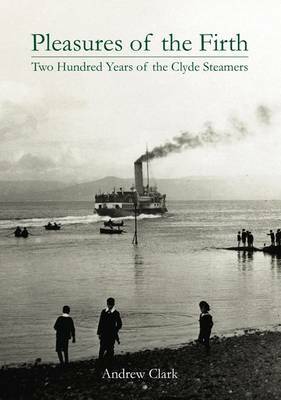 A NEW history of the steamers, ferries and personalities — including Henry Bell — that have served the Clyde resorts since 1812 has just been published. It is entitled ‘Pleasures of the Firth: 200 Years of Clyde Steamers’, and author Andrew Clark, a Financial Times journalist, tells the colourful story from the first steamer, Henry Bell’s Comet, in 1812 to the present day. Before the Comet, transport on the Clyde was by sail-boat and the trip from the Broomielaw to Helensburgh could take five or six hours if wind and tide were favourable, but a couple of days if conditions were poor. But now pleasure traffic on the river seems to have all but disappeared. This £40 314-page hardback book, published by Stenlake Publishing, is a detailed and beautifully photographed history of the Firth’s iconic and much loved steamers and ferries. It includes over 450 illustrations and an exhaustively researched fleet list, giving details of every Clyde ferry and excursion boat. The author will be talking about the book at Glasgow’s Mitchell Library on Monday November 26 at 6pm as part of Book Week Scotland.